I'm not the first to point it out, but superhero characters have a lot in common with the gods and heroes of ancient myths. Many intentionally draw on these, then riff on them with their own changes, universes and storylines. As a longtime myth buff who now has some superhero buffs in my household, I thought it would be fun to examine some of the more obvious and creative parallels. This is really obvious when you look at early versions of the Flash, which look exactly like the god Mercury, albeit more modestly dressed and not holding the caduceus. 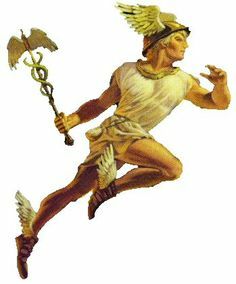 Mercury (Hermes to the Greeks) was the god of "the crossroads." Hence, he ruled over matters pertaining to travel, commerce, communication, and language. He was considered a fluent, persuasive speaker (to the point of being a con artist), and because of his speed and verbal abilities was often used as Zeus's spokesman, the "messenger of the gods." Due to the difference between the genres of myths and superheroes, The Flash has not retained all of Hermes' characteristics ... mainly just his speed, quick wits and agility. In Greek mythology, Hades was both the name for the world of the dead, and for the god who ruled it. Zeus had been allotted the skies, Poseidon the seas, and Hades had the underworld as his portion. Hades was much less active in the affairs of the living than either of his two counterparts, with a less open personality. Batman shares many characteristics with the god Hades. Consider the table below. Everybody wants to be the Hulk. The Hulk draws on the popular "wild man" archetype that goes back at least as far as Enkidu in the Sumerian Epic of Gilgamesh, and arguably goes forward to the noble savage myth of our own time. But we can get even more specific. The Hulk's story maps quite well onto that of Heracles (the Greek name for Hercules). There were plenty of characters in Greek mythology that fit the "wild man" profile better than Heracles, but there aren't many who were nearly as popular, or who have so much in common with the Hulk. Recall that the Incredible Hulk started life as Bruce Banner, an intelligent, sensitive and moral scientist. 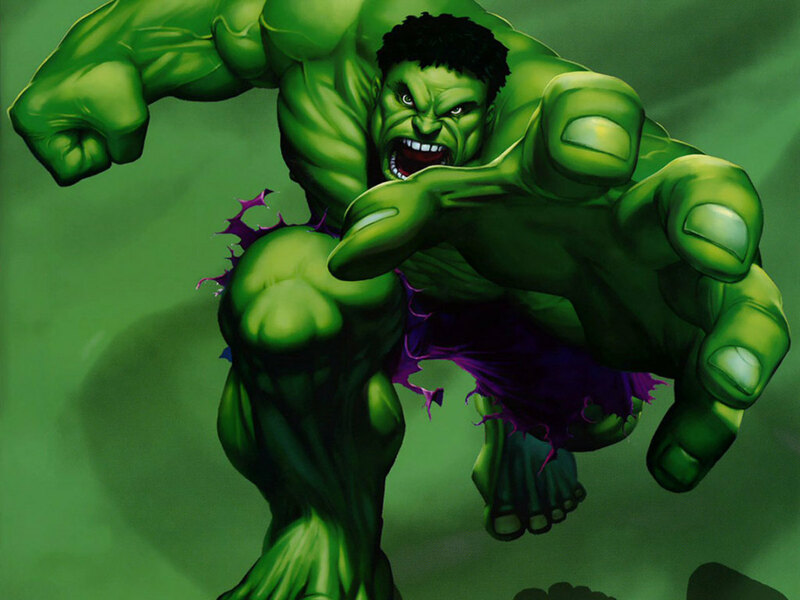 Exposed to radiation while saving someone else from an explosion, Bruce developed a mutation that causes him to turn into the Hulk whenever he gets angry. As the Hulk, Bruce thinks and talks in very simple terms ("Hulk SMASH! "), cannot be reasoned with, and gets very destructive ... though he still does not kill innocent people. Unlike Bruce Banner, Heracles is incredibly strong all the time. Like Bruce Banner, oftentimes he can be very clever. But he is subject to fits of madness, sent upon him by the goddess Hera. During these fits, he will do awful things such as kill his own children. Just as the Hulk, despite his basic innocence, must be restrained during his fits, so Heracles is always punished for the crimes committed during his madness. Even when not struck mad by Hera, Heracles does have an anger problem. He has been known to kill people for such things as correcting his mistakes. Heracles is, in fact, a much more wanton killer than the Hulk. This shows us the ancient Greek mindset, where aristocrats, not to mention heroes and gods, could exact harsh punishments for an insult, and where to be weak or a coward was considered a much more damning fault than to be a bloodthirsty killer. 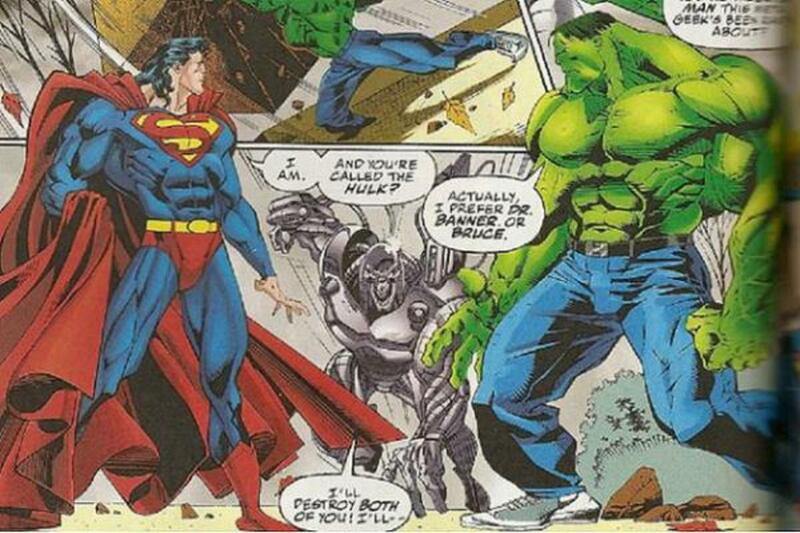 The Hulk, by contrast, is coming from the moral framework of a different era, which is why he only harms bad guys. But what the two have in common is a dangerous amount of anger despite having a basically good heart. The difference between the ancient Greek culture and the modern American culture is also seen in the way the two heroes are treated. Heracles was an extremely popular hero, considered to embody the Greek ideals of masculinity. The Hulk, who is actually less bloodthirsty than Heracles, today is considered a "monster" who is loved only by the people who know his secret. 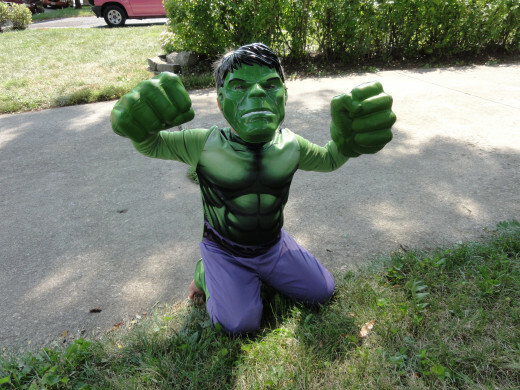 He is not everyone's favorite superhero, though his strength, green skin and temper tantrums do speak to the preschool set. One more interesting parallel. Heracles died when he put on a magical shirt that burned him and could not be removed. This "burned away" the mortal part of him, and he became a god. The visual image of a muscular man writhing in flames as he is transformed into a deity is very similar to the sequences in the Hulk cartoon where Bruce Banner is shown contorting in agony as he turns into the Hulk, against a background of explosions or flames. I had to put quote marks around the word is for this title, because though many people think He's mythological, Jesus is also an historical figure. Rather like a Magic Eye picture, Jesus' story functions as myth and history at the same time. Superman is a tough superhero to characterize. Though a member of the Justice League, in his original backstory he is clearly not a member of a pantheon. It is part of his very identity to be one of a kind, the only superhero in his environment. He's superior in every way, but he doesn't feel or act superior. He's misunderstood, but he doesn't waste much time worrying about that. He's not from around here, but he considers Earth his home. Insofar as he pays any attention to his special abilities, it is to help the ordinary people around him. I'm sure this will be controversial, but I feel that the Man of Steel movie made an excellent case for Superman as a type of Jesus. They hammered the message home by showing him to us with a beard; having him frequently hover in the air with arms outstretched; and even, in one scene (which I loved), posing him in front of a stained-glass window that showed Jesus praying in the garden of Gethsemane. Are the only one who can defeat the bad guy (also from beyond this world), who wants to destroy the people of earth. Both are participating in an ongoing battle that began long ago in another realm. 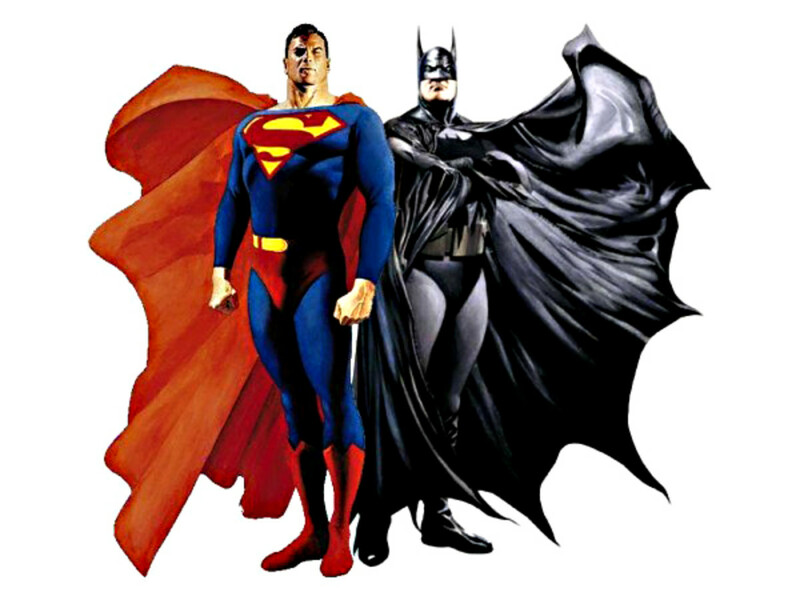 Both must decide to lay down their life to save the people of Earth, and both choose to do so. What I love about both Superman and Jesus is that, though invincible, they do not despise weakness in others. That is so rare. In one beautiful poetic prophesy about Jesus, the Bible expresses it this way: "A bruised reed he will not break, and a smoldering wick he will not snuff out." Some superheros do not even pretend to be anything other than an ancient god dressed up for modern times. They openly borrow almost all their characteristics from their predecessor. This is completely fine, of course, but it does make the game of "guess which god this superhero is?" a little less challenging and fun. Thor comes straight from the Norse god Thor, and brings his name, his milieu, and his entire pantheon with him. Of course, the legends had to be adapted a little bit to fit Thor into the world of superheros. Thor has lost his cart pulled by two goats, and has gone from a slightly comical, bearded redhead to a clean-shaven blond. Aquaman is clearly based on Poseidon, but his personality is quite different. Aquaman is sunny, helpful, and youthful (usually with a clean-shaven face), perfectly willing to work with other superheros. This is very different from the dark, brooding, bearded, and emotional Poseidon whose unpredictable personality mirrors that of the sea. Poseidon is perhaps the most famous for holding such a grudge against the hero Odysseus that he hounded him for ten years while Odysseus vainly kept trying to sail home over the sea, which Poseidon controlled. Wonder Woman, in her backstory, was raised by Amazons (female warriors) on a secret island. "The Greek gods" gave her a magical tiara, lasso, and wrist cuffs. In her alter ego, her name is Diana Prince. The Amazons, a tribe of fierce female warriors, was indeed a traveler's tale told by the ancient Greeks that made its way into their myths. But the idea of a warrior woman was also present in the indigenous Greek pantheon. Athena, who is very active in the myths, was a warrior goddess who always appeared wearing a helmet. She eschewed the womanly arts for the arts of war, and was also the goddess of wisdom. She was, in fact, so unwomanly that rather than being born, she burst fully formed from Zeus's forehead. (Yes, I am picking up on a little misogyny in ancient Greek culture.) "Grey-eyed Athena," with her dark hair, resembles Wonder Woman, with her dark hair, blue eyes, and ability to beat up bad guys in a way that's way out of proportion to her dainty size. Weirdly, the name Diana (Wonder Woman's alter ego), is the Latin version of the name Artemis, another tomboyish goddess much beloved by the Greeks. Artemis was a "virgin goddess," perpetually young, who loved to hunt. I have now hit the point of mental fatigue in coming up with superheros and what god or goddess they might have come from. Please continue the article for me, in the comments section below. The evolution of the 'Hulk' on television and film. Oh, my gosh, Alun! Thanks for the laugh. People are basically the same as they've always been, with a need for figures they can look up to, or pray to to come and save them in times of trouble, or just to serve as fantasy all-action heroes to tell good stories about. 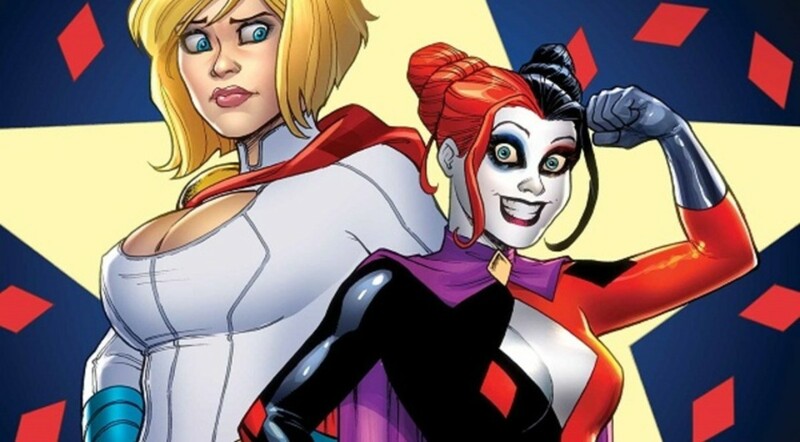 Whether they are called myths, legends or superheroes, they all serve the same purpose, though as you've indicated it's interesting to see how comic book publishers like Marvel and D.C subtly amended myths to suit modern culture, whilst retaining many of the most important basic characteristics. Jodah and Pollyanna, thanks for stopping by. Yes, Pollyanna, I do think that superheros fill the role of myths in our culture. 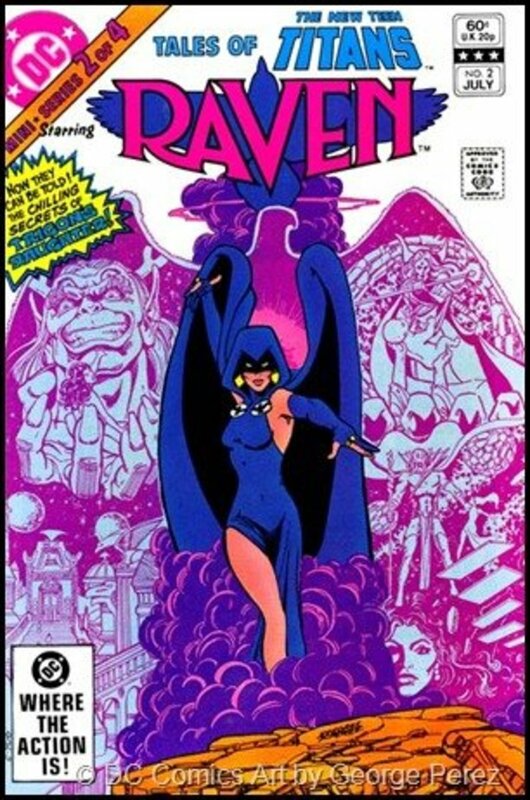 There are other cultural myths besides, superheros, of course, and we don't overtly link the superheros with mystical ritual, but they are scratching the same mental itch. Anyway, thinking about all this has helped me to realize that the way the folks in the ancient Near East felt about their gods, and "used" them so to speak, might be similar to the feelings and uses we get out of our superheros. I do think there was an element of the numinous (holy dread) that was often present then which is missing today, but I kinda suspect that often, the gods were just there to provide a cracking good story and characters that everyone recognized. Sorry for the super long comment. This topic pulls my chain. It's fun to find folks like you who are interested too. Spot on! This was a really good read. I've discussed this with friends before, and the need for archetypes and especially heroic ones follows us the world over. I can't help but think that in North America, as the culture is so "young" (not including First Nations of course), superheroes were created and became popular to fill the gaps in an emerging culture? Jennifer, very interesting hub. I knew the Flash was based on Mercury(Hermes), and the Hulk as Hercules (Heracles) makes sense. I never thought of Batman as Hades though, or Superman as Jesus..but now I can see the parallels. I enjoyed the read here. Ha ha ha ... it was supposed to be sort of tongue in cheek ... but thanks for the over-the-top praise! Incredibly well written piece of work. Mythology is indeed alive and well in our culture. Fantastic hub!